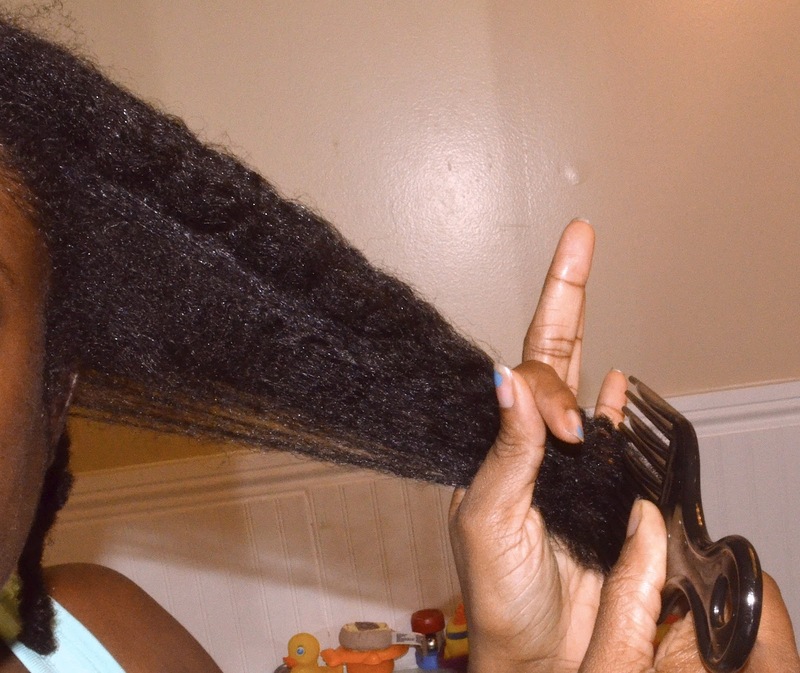 Home » afro picks » black tea rinses » deepprepoo » detangling » good hair » 3 TIPS THAT WILL MAKE DETANGLING NATURAL HAIR A BREEZE!!!! 3 TIPS THAT WILL MAKE DETANGLING NATURAL HAIR A BREEZE!!!! 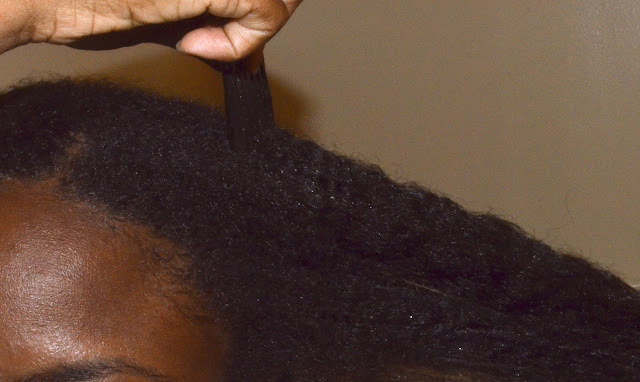 One of the biggest concerns most people have about natural hair is that "they can't get a comb through it". Most people look at me in shock when I say that my hair is easier to comb now, then when I had a perm. Your mind has to let go all of the "my momma used to pull my hair out when I was a little girl" mind set. Some people are quick to tell me how "nappy" their hair was as a child, that's why they can't go natural. Or you can go natural cause " your texture is better than mine", like their hair go out and rob banks during the day. What does better mean? Don't answer that because your ignorance will show... Healthy hair is good hair! 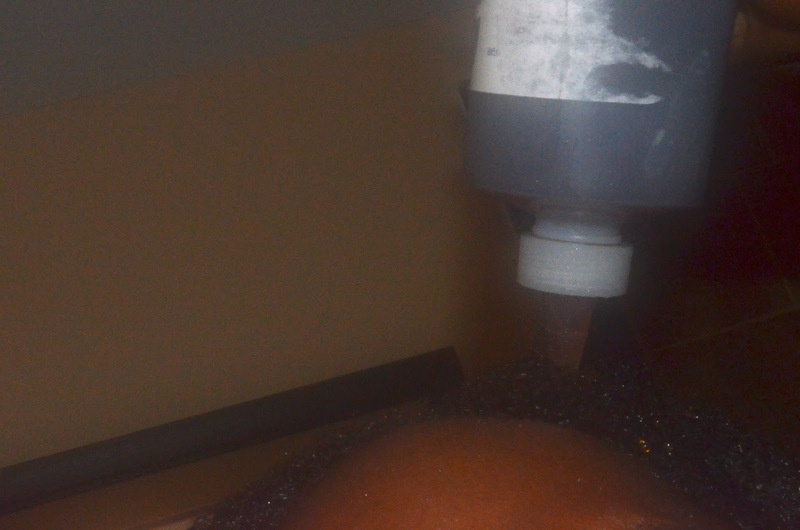 ~Prepping the Hair: As previously stated DeepPrePoo is the best way to start unraveling any knots that have form. By doing a deep conditioner for an extending period of time your oils will have enough time to actually penetrate the hair shaft plus your detangling time will be greatly reduced. Just find some me time throughout the week, put a plastic bag on, and take the time weekly to properly nourish and restore your hair. ~Rinses: As stated a few post ago Black/Green tea both reduces hair shedding tremendously. After several uses I have personally seen 50% to 60% less shedding. I also have been encourage to try other "tea" rinses such as marshmallow roots. Marshmallow is a conditioning herb that provides an abundance of "slip" which helps to detangle curly, wavy and tightly coil hair. It also contains vitamin A & C plus natural plant proteins. 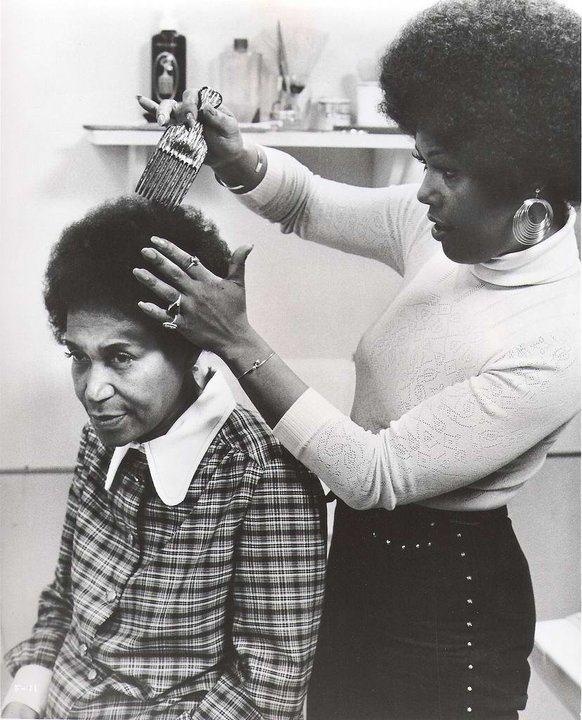 ~"Combing" The Hair : I have purchased all types of hair combs & brushes for my hair. Yet nothing works better for me than my hands and the infamous Afro pick. The Afro Pick will comb through the thickest hair and it will sculpt the biggest afro. I don't know why I stopped using it to buy a more expensive combs or brushes that were never made for my thick natural hair. 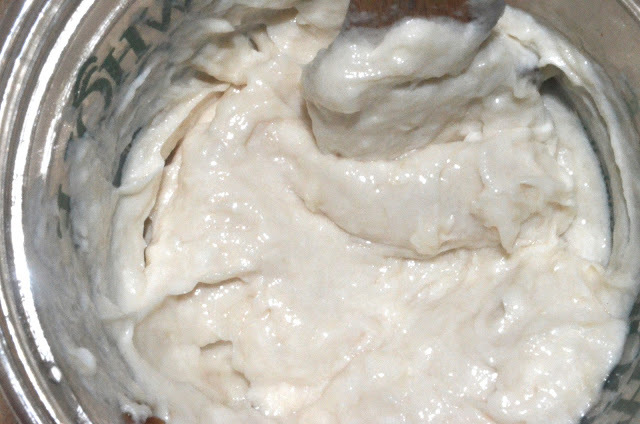 After I shampoo, I rinse my hair with sage & rosamary tea then put some Mowrah butter to finish closing my cuticles. 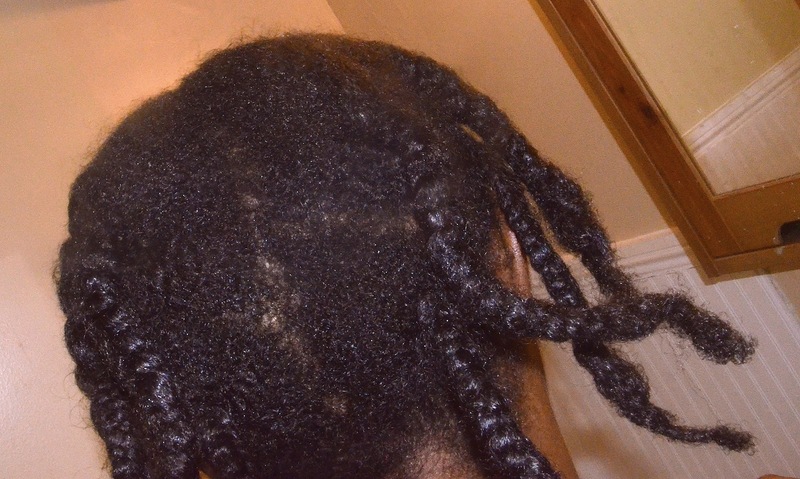 Next, I start detangling my hair starting from the bottom or ends. 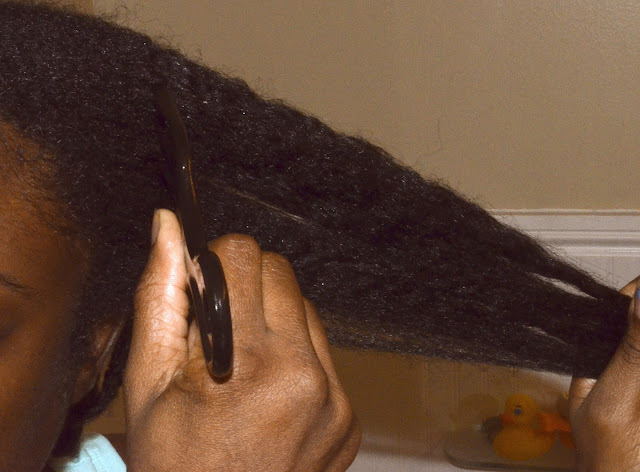 So what other tips do you have for detangling your hair? I like to use Queen Helene cholesterol conditioner when I detangle. I saturate my hair with conditioner when I detangle. My daily condish is Suave humectant but I DC with ORS hair mayo.